Custom software that delivers results and drives businesses. Innovation and technology is powering the growth of the energy industry within our rural municipalities. Now that same innovation and technology is available to those tasked with managing this growth. 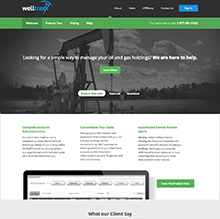 Red Cherry created a new branding for the company along with a responsive website and software build. 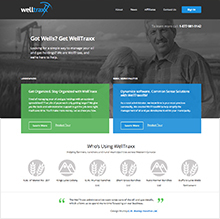 The WellTraxxRM software offers complete flexibility as a web based platform, allowing users to access their account from mobile, tablet and desktop. 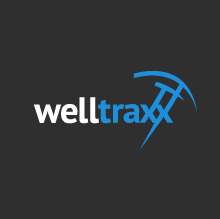 The greatest strength of WellTraxxRM is its simplicity. 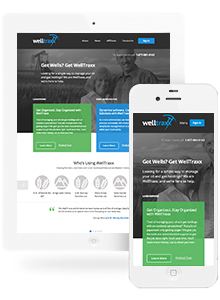 The first feedback every user gives us is how easy the program is to use. Fresh branding including logo design. Easy to navigate website for the two main persona's that visit. 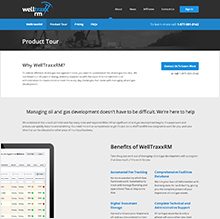 Custom software with automated fee tracking, simple capture of new applications and web based access. PCI Complaint and secure software build.